Writing for the theatre is reacting to, and dialoguing with, the world around us. It is self-expression via the work of others, which is admittedly its limitation and… power. In other words: for me, writing for the theatre is a simultaneous escape from the world and socialisation within it. 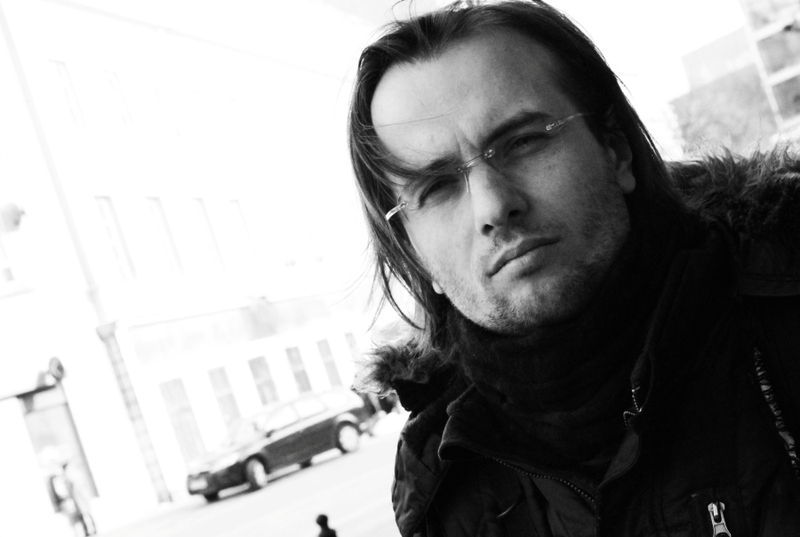 Radosław Paczocha is a playwright, screenwriter, and dramaturge. He is a graduate of Polish Studies at the University of Warsaw as well as the Theatre Studies Department of the Theatre Academy in Warsaw. He was the Literary Secretary at Teatr Powszechny, Warsaw (2010-2016), and is currently the Dramaturge at Teatr Wybrzeże, Gdańsk. He is the author of the plays: Zapach Czekolady (Scent of Chocolate) (winner of the dramaturgical competition Windowisko 2008), Przyjaciel (Friend) (winner of the dramaturgical competition Metafory Rzeczywistości 2009), Bar Babylon, Beniamin, Faza Delta (Delta Phase), Wizyta (The Visit), Broniewski, Być jak Kazimierz Deyna (Being Kazimierz Deyna), Uwodziciel (The Seducer), Tango Łódź, Zabić celebrytę (To Kill a Celebrity), Urodziny czyli ceremonie żałobne w czas radosnego święta (The Birthday, or A Time of Mourning on a Joyous Occasion). His literary output also includes numerous adaptations for the theatre (including, Anna Karenina, Klaus Mann’s Mephisto, Elia Kazan’s The Arrangement). His plays have been translated into English, German, French, Czech, Georgian, Russian, and Slovak. Outside of Poland, his plays have been produced in Ireland and Georgia. Scent of Chocolate (Zapach Czekolady) shows the problem of emigration from the perspective of those who remained in their home country. An inept father, two daughters – one already an adult – and a terminally ill son, who requires round-the-clock care and is a significant drain on the family budget. The reason behind one parent’s absolute necessity to emigrate becomes clear. The mother’s departure sets off a landslide of further woes. The eldest daughter must step into the role of the absent mother. She does her best, but… the role is simply not for her. Each child waits for the mother who will one day return, who must return. The waiting becomes unbearable, problems mount, and the empty place the mother has left at home requires endless excuses and justifications.